our commitment is to safety. 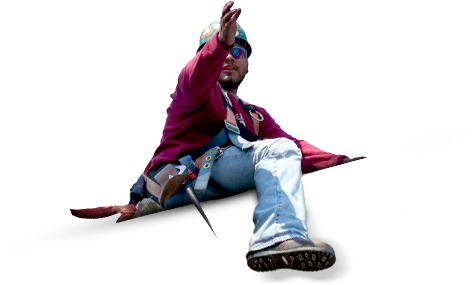 When proper safety controls are in place, our team can work swiftly and with ease—allowing them to complete projects safely and efficiently. 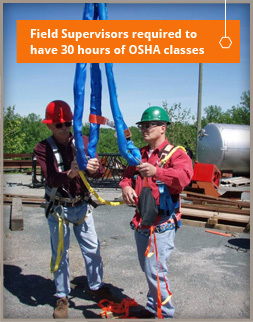 Each employee is required to complete 10 hours of OSHA classes, with 30 hours required for all field supervisors. 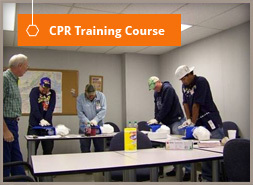 These programs are developed by OSHA, MSHA and Red Cross certified instructors along with an active, well-informed safety committee. 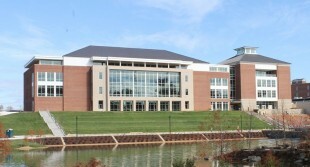 Our company consistently maintains incidence rates well below industry standards across our specialties. Working together, our employees recently celebrated a significant milestone: 2 years without a lost time injury encompassing nearly 1 million man hours. This doesn’t just make our team heavily skilled and trained in our industry; it puts CSE ahead of the curve from other companies in our field. Let Us Do The Heavy Lifting For You. 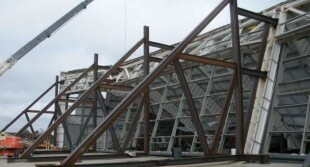 AISC's certification program sets the quality standard for the structural steel industry and is the most recognized national quality certification program for the industry. 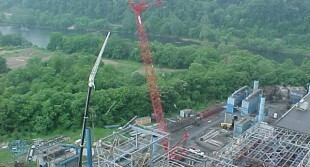 © Copyright Commercial Steel Erection All Rights Reserved. Our website uses Google’s “Website Call Conversion” program to track website visitors from Google AdWords’ paid listings with specific call tracking phone numbers. This allows us to identify the keywords users are searching prior to calling us. Google’s Website Call Conversion program only tracks calls generated from Google’s AdWords search engine advertising network.